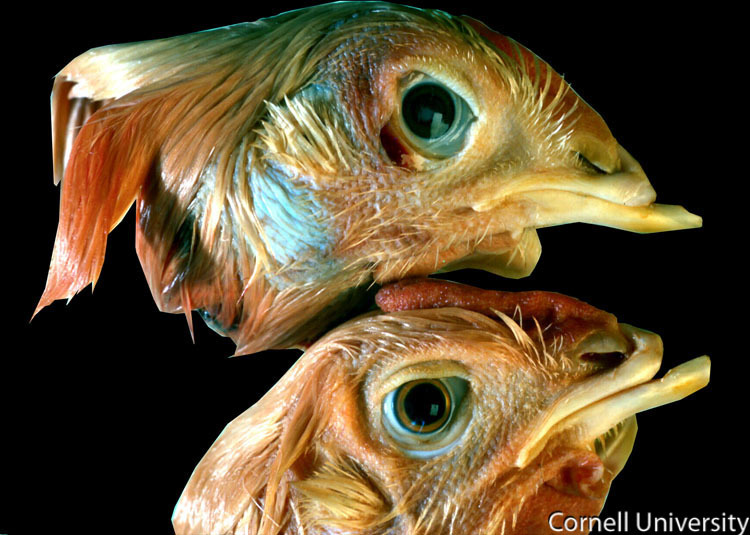 Birds that survive acute AE infection may develop lens opacities caused by cataracts. These cataracts can be associated with a blue discoloration of the eyes, as seen in the upper eye in this photo. The head of the bird on the bottom of the image is normal. Within the center of the eye of the bird at the top of the image, there is a pale blue opacity within the lens.